Each flood is unique which is why we’ll create a personalize plan that works for you and your budget. With our heavy-duty equipment, we can quickly turn your flooded house back into your beautiful home. 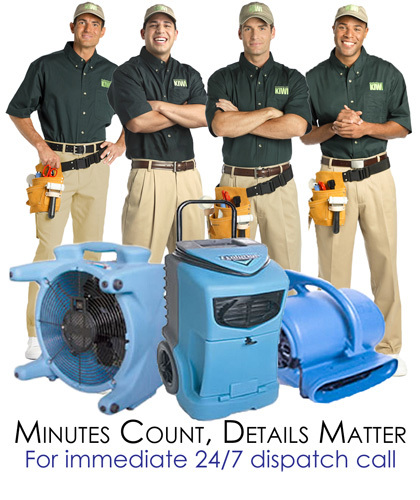 We’re ready to help you in every way during your water damage restoration. KIWI is committed to your complete satisfaction and serving you even after your flood. With our warranties and guarantees, we can promise that. If you have any problems with our repair work, call us within the year of the service and we’ll fix it for you. If your carpets need a touch up cleaning, use the unlimited carpet cleaning warranty for discounted cleanings. Live freely with KIWI because we’ll keep your home beautiful. Call KIWI’s Water Damage Restoration in Saginaw, TX Today!